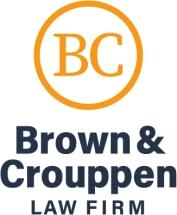 From our law office in O'Fallon, Missouri, the attorneys at Brown & Crouppen represent the rights and entitlements of innocent accident victims and their families throughout the western portion of the St. Louis metro region and St. Charles County. Originally established in 1979, our law firm has grown to include seven total offices across Missouri and southern Illinois, and to date, we have recovered more than $850 million for our plaintiff clients. This level of success is the result of our unwavering commitment to those we serve coupled with our more than 50 years of combined legal experience handling all types of serious personal injury, wrongful death and medical malpractice claims. We are also one of the leading law firms in the region for those seeking their rightful Social Security Disability and workers' compensation benefits, and Missouri Lawyers Weekly named us the area's "Winningest Plaintiff Law Firm." Along with maintaining a successful injury practice, we also support our local communities through our involvement with various civic and charitable organizations to help make our area a safer, more welcoming environment for all to live and work. If you or a family member is suffering as the result of a preventable tragedy or work-related accident, you can turn to Brown & Crouppen to find a local, dedicated legal advocate to help see you through your difficult and uncertain time. For a free evaluation of your claim, you can call our law office or visit our website to schedule an appointment, and if we don't win your case, you will owe us nothing.